German violinist/composer Friedrich Seitz performed widely as a soloist and chamber musician, as well as working as a conductor and founding the first music school in Magdeburg. 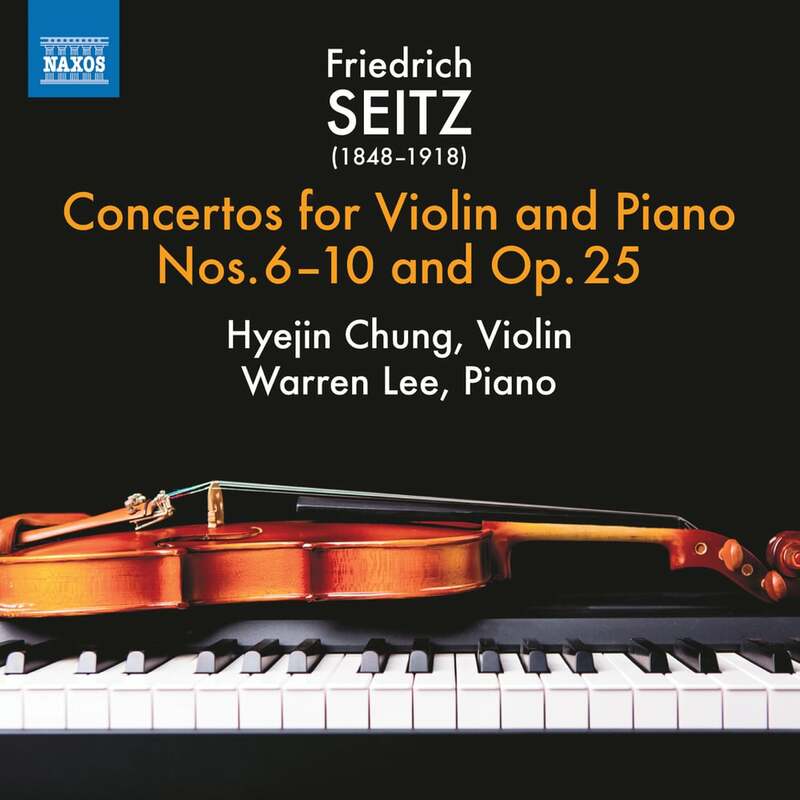 The Concertos for Violin and Piano or Schuler-Konzerte (‘Student Concertos’) are designed as introductions to violin technique, Seitz’s genius being to create student works that are always tuneful and interesting, with flowing and expressively inventive melodies, wonderful slow movements and plenty of carefully curated technical fireworks. This second volume takes us up to Seitz’s ambitious and beautiful final Schuler-Konzert No. 10. Hyejin Chung studied with Takako Nishizaki at the Hong Kong Academy for Performing Arts and graduated with an Advanced Certificate in violin performance. She subsequently studied with Sergey Kravchenko, a student and assistant of Leonid Kogan, at the Tchaikovsky Moscow State Conservatoire. She graduated with a Doctorate in Musical Arts in 2011. While in Russia, she won a number of competitions and performed with various orchestras. This is her second recording for Naxos.